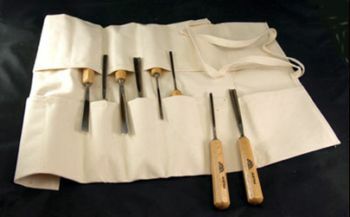 Canvas Toolholder for Large Tools 12 slots 21 x 13 inch. This tool roll is made with extra-heavy duck canvas material which proves to be really durable for holding your tools. Measures 13" wide to hold most full size carving tools.